In April 2018, Google rolled out the first major Gmail design overhaul for several years. Most of the service’s 1.4 billion users now have access to the new layout. If you don’t, you should be able to upgrade by clicking on the gear icon in the upper right-hand corner of the screen and selecting Try the new Gmail (don’t worry, it’s still possible to reverse the update How to Go Back to Classic Old Gmail How to Go Back to Classic Old Gmail Have you switched to the new Gmail design and want to return to the old Gmail interface Here's how to go back to classic Gmail. Read More ). Once you’ve upgraded, you’ll have access to a range of new features on both desktop and mobile. One of those new features is Nudge. But what is it? And how do you turn it on and off? Keep reading to find out. What Is Nudge in Gmail? It can remind you to reply to important emails. It can remind you to follow up emails on emails you sent but for which you haven’t received a response. Sounds good, but some people might find it annoying, especially if they already operate close to inbox zero. Ensure you have upgraded to the new design. Click on the gear icon in the upper right-hand corner. Choose Settings on the pop-up menu. Mark or unmark the checkbox next to Suggest emails to reply to as desired. Mark or unmark the checkbox next to Suggest emails to follow up on as desired. Your changes will take effect next time you return to your inbox. 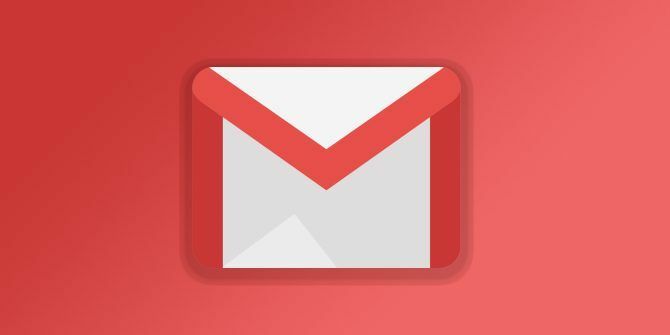 And remember, if you like the new Gmail Master the New Mobile Gmail With These 10 Tips Master the New Mobile Gmail With These 10 Tips If the new Gmail design on iPhone or Android fazes you, then walk through these features to stay productive with your emails. Read More , you might like some of Google’s other lesser-known tools Like the New Gmail? 5 Other Google Tools You Might Not Know About Like the New Gmail? 5 Other Google Tools You Might Not Know About The new Gmail redesign is great, but let's look at some other cool Google tools that may have slipped past your radar. Read More . You should check them out! Explore more about: Gmail, . And how to turn it off on Android? Seems like someone needs a nudge to remind them to finish their articles.